This entry was tagged Larry Summers, NGDP Trend, Paul Krugman. Bookmark the permalink. Let’s not forget that the growth rate of Japan’s labor force has been slowing down in recent times. It would be interesting to look at nominal GDP growth divided by the potential labor supply for both countries as a function of time. 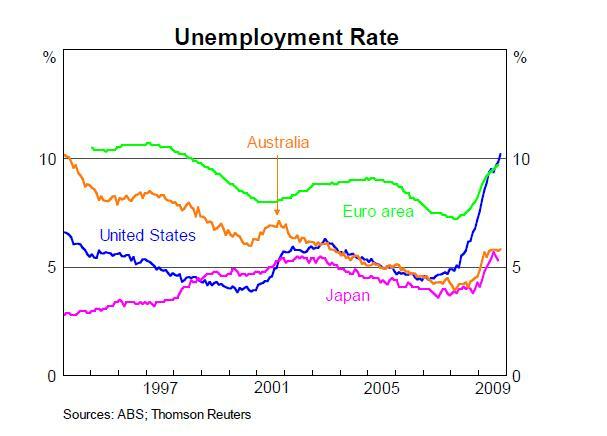 While I certainly agree that Japan has been following a less than optimal monetary policy, it does not appear that the Japanese have suffered from a high unemployment rate, at least relative to the US. Richard, I´ve always heard that unemployment in Japan is a “mystery”! I also know that population in Japan is shrinking. 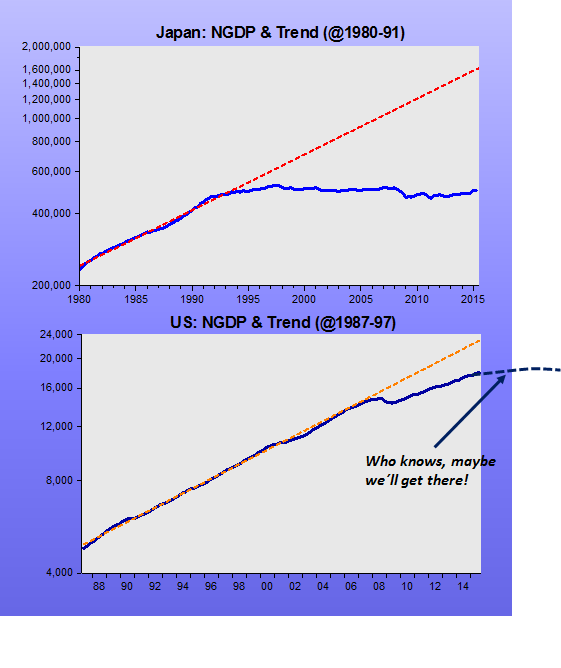 Despite all that, the “structural” arguments, also made for the US, are not consistent with the suddenness of the change in the NGDP trends. One importnat point that LS brings up is hysteresis. That´s why we still could see the US (Euro, UK, etc) situation becoming ever more Japan-like.